News within the lighting industry continues to be dominated by the development and growth of LED technology. With the final phase of the Energy Independence and Security Act of 2007 set to take effect January 1st, the emphasis within the lighting industry is nearing a complete shift towards energy efficient lighting designs. Much has changed since this legislation was enacted, and although most news revolves around the coming obsolescence of the incandescent bulb and what alternatives are available, there is much much more to the story. As 100, 75, and now 60 and 40 watt incandescent bulbs disappear from store shelves, the race to produce an affordable and practical energy efficient alternative has stepped up its pace. The first alternative to gain prominence was the compact fluorescent bulb, or CFL, which was quickly followed by solid state LED lamps. Over a very short period of time the CFL has been overtaken by the rapid development of LED lighting technology. At this point in time, LEDs are now projected to be the dominant lighting technology within 15 years. The growth of the LED market has been nothing short of explosive. By 2030, the US Department of Energy estimates that 75% of all lighting sold will be LED. When we consider fluorescent and HID lighting will account for a large portion of sales as well, it is clear the incandescent is for all intents now an obsolete technology. LEDs are also a highly competitive field of development due to high projected expansion of LED lighting markets, and several countries are jockeying for position in order to become the dominant worldwide manufacturer and supplier of LED based lighting designs. China is continuing to pour prodigious resources into developing LED technology and encouraging the growth of its residential LED market. China’s LED market for 2012 was $3.1 billion, and is expected to double by 2017 to $7.4 billion. On a global scale, China had a third place 19% global share of the LED lighting market, while Japan held first place with 40% of the global market, and North America comes in at second with 24%. Growth of the Asian markets is expected to rise considerably due to fierce competition for market share and the large size of combined residential markets within the region. A less well covered aspect of LED lighting technology is poised to become a significant contributor to the expansion of the global lighting markets. With the rise to prominence of LEDs has come an upsurge in the development of intelligent lighting systems and controls. Prior to the emergence of LEDs as a potentially dominant lighting technology, intelligent control of lighting systems was limited due to the unsuitability of fluorescent and HID systems for pairing with such systems. HID and fluorescent lighting is adversely affected by frequent on/off cycling, and both types require some time to reach full output once switched on. LEDs on the other hand are an instant on type of luminaire and are not affected by frequent on/off cycles, and in addition can be made capable of variable output levels and multiple color options. This makes them well suited to pairing with intelligent lighting controls. Intelligent lighting can improve on the effective efficiency and versatility of LED lighting systems by allowing the use of sensors and data gathering to manage large scale lighting systems. These systems can be programmed to run lights only when an area is occupied, and can be programmed to produce specific lighting levels according to the requirements of the location. Intelligent lighting can also be used to project lighting of varying levels to different areas within the same location, further reducing the overall energy consumed even though all of the lighting is in operation in that location. For a large stadium or warehouse for example, areas where human activity is present would receive full light output, while unoccupied areas would receive reduced illumination levels. These systems could also sense ambient lighting levels, such as sunlight entering an area through windows, and dim the internal lighting to maintain a specific overall illumination level and further reduce energy consumption. These systems are projected to eventually be able to gather operating data including peak hours of use, total usage hours, energy consumed, fixtures in need of maintenance, and even predict expected occupancy times and automatically run lighting accordingly. Such data gathering will be invaluable in the future as it will allow precise monitoring of performance parameters and provide the ability to produce accurate energy usage data to use when calculating ROI and overall savings over the life of the system. Intelligent lighting systems represent an example of just how extensively LEDs will change lighting as we know it, and how markets stand to continue their unprecedented growth and expansion though continued development and innovation. 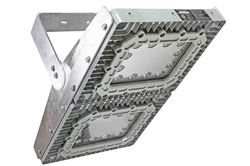 While overall the LED luminaire markets are showing the largest growth and expansion, the market for intelligent lighting controls is showing similar explosive growth as well. Navigant Research estimates that global revenue from commercial networked lighting control systems will expand from $1.7 billion USD in 2013 to $5.3 billion by 2020. Europe currently has the largest intelligent lighting for commercial buildings market, with the United States following closely in second place. This sector of the lighting industry is expected to grow exponentially by 37% between 2013 and 2018. Clearly, there is much more to the story of the world wide incandescent phase out and the LEDs’ rise to dominance. Right now the big uncertainties in the lighting industry have shifted away from whether or not LEDs can be made practical and cost effective, and now revolve around module standardization, global competitiveness, and who can be the first to bring new LED supporting technologies to market. Within a very short period of time, LEDs have gone from being considered not ready for primetime, to having the almost exclusive distinction of being considered the world wide dominant form of lighting within 10 to 15 years.